When Akshay clicks picture, both hands of Sonakshi Sinha are together. But in photograph, position of her hands were different. There is a petal on her shoulder. In next shot, it disappears. Again it appears in next shot. Her feet is not visible. In next shot, feet is uncovered. There was a auto-rickshaw on road which was moving ahead. But in next shot it was not on the road. When Shiva goes to Baapji's house, there is no cart beside his vehicle. 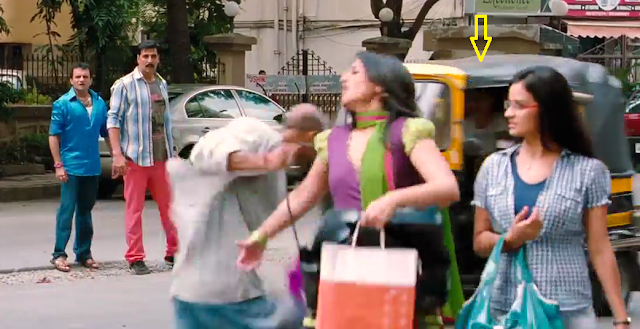 When Akshay was returning from Baapji's house, there was a cart beside his vehicle. 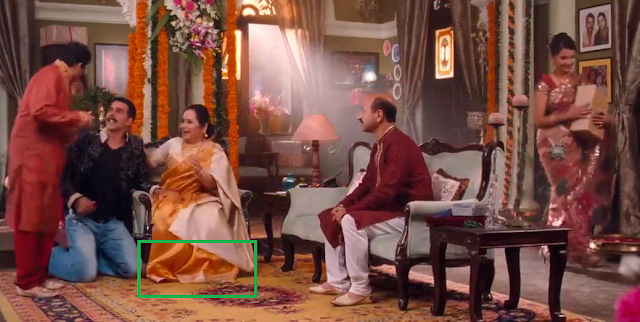 If location of movie plot is Bihar, then why it is written in Kannada on the rock?